Every year, the American economy loses an estimated $260 billion in production overhead because of absence and low productivity caused by health issues. Only 40% of the general public exercise regularly? That means 60% do not. Only 7-8% exercise at the proper intensity level and duration to have significant health benefits. Caterpillar will save an estimated $700 million by the year 2015 (as reported by the US Department of Health and Human Services. At Fitness Results, we believe in education and motivation! We know our clients can make better health choices with fantastic results. Our parent company, Fitness Results, has proven success in our clients’ lives and we can do the same for the employees of your company! 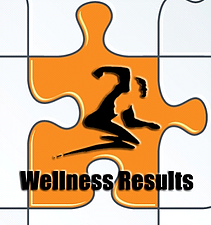 Wellness Results focuses on helping companies create a wellness program based on each company’s individual needs. Whether it is a small company with very little space, or a large company with the desire to build a full gym, we tailor a wellness program that will help your employees improve their overall health which helps your company improve its financial health. Studies at the Progressive Corporation point to a strong association between participation in their on-site fitness center and overall good health resulting in lower costs and fewer absence hours. Worksite Wellness: 20-year Cost Benefit Analysis and Report: 1979-1998. What Fitness Results can offer is a wellness program that can improve your employee’s physical and mental health, while you improve your economic health. When working in such complex and especially laboring areas of work it is important for the workers body and mind to be able to handle the load more efficiently. Installing a gym area to your workspace will allow for workers to strengthen their bodies, reducing the challenges and risks of their workday. By pushing them to their physical limits, they are better able to handle stress and focus on their work tasks. Once the initial investment is made, a fitness or wellness program will immediately start paying for itself; ultimately generate concrete savings for your company. Select and track workouts, nutrition, and progress reports online. Get motivated and connected through an online fitness community.